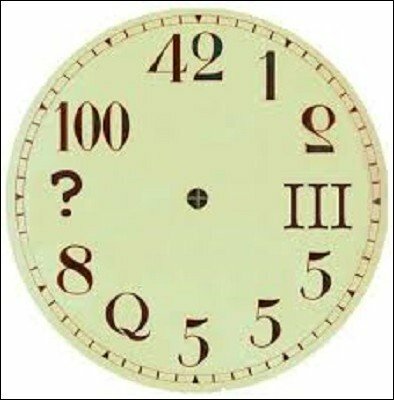 You show a flat paper clock with missing numbers, numbers in the wrong locations, tilted at different angles. You have a prediction which sits out the entire time. You show a small packet of facedown cards, give them a shuffle and place them around the clock, next to the hours. Your volunteer calls out a number (or rolls a die) from 1 - 6 and begins counting from that number around the clock. They eliminate the card at that number and continue eliminating until only one card remains - which matches your prediction. For an added bonus, you show the eliminated cards faces are all the same......BLANK. This creative thinker mentalist/magician has many simplistic ideas in mentalism that still pack a punch look for his hardback book of ideas available at a excellent value for money.